This is to inform all the candidates offered admission into the Federal Polytechnic, Ilaro various Higher National Diploma (HND) Programmes for the 2018/2019 academic session, that they are all required to proceed to the payment of the non-refundable acceptance fee. 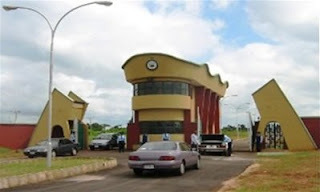 Read Also: Federal Poly Ilaro HND Admission List. Federal Poly Ilaro Acceptance Fee Details – HND. ALL CANDIDATES OFFERED ADMISSION IN THE 2018/2019 SESSION FOR HIGHER NATIONAL DIPLOMA (HND) PROGRAMMES ARE TO PAY AN ACCEPTANCE FEE OF TWENTY THREE THOUSAND NAIRA (N23,700.00) ONLY (THIS PAYMENT INCLUDES BANK CHARGE). N.B: Please note that the deadline for the payment of acceptance fee for this MERIT / FIRST LIST of HND Full -Time is August 9, 2018.